Each year, more than half a million Americans complete a marathon, making it one of the most difficult yet most popular races in existence. In November 50,000 people will run the NYC marathon and etch their names in the annals of history. It is quite an accomplishment to simply finish the grueling 26.2 miles. 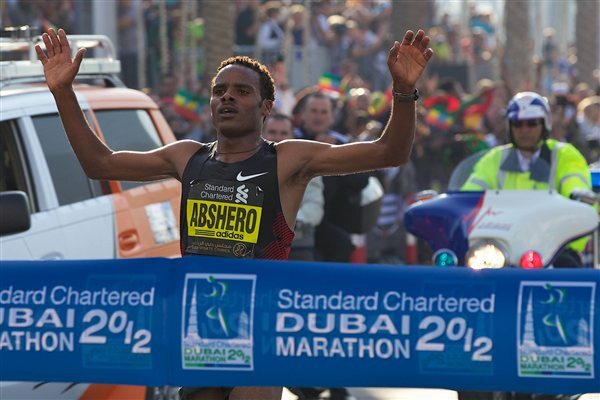 However, unless you are Kenyan or Ethiopian, your chances of finishing a marathon in the top 10 are virtually nonexistent. Most people attribute the East Africans' success, such as 2012's top marathoner Ayele Abshero (2:04:23), to a superior gene pool. However, Dr. Joe Vigil says that their extraordinary success is owed to more than just their DNA. Vigil comments that "It is common for Ethiopian and Kenyan children to have to run 10 miles each day to get to school." This early introduction to distance running at speed is believed to allow for the full speed and aerobic development that lays the groundwork for running excellence later in life. It is similar to the language development window in young children. Perhaps if children in the United States weren't so sedentary, the trend of the dearth of excellent American marathoners and the plethora of overweight children would be reversed. Still, it takes more than hard work to determine success. My high school coach Roger Featherston would say, "It's not about just working harder, you have to work smarter." Examine any Kenyan or Ethiopian training program and you will notice a stark difference when compared to the average American one. East Africans incorporate more speed work into their program, often running at the lactate threshold. NASM defines the lactate threshold, also known as the anaerobic threshold, as the level of exercise intensity at which lactic acid starts to accumulate in the bloodstream. This happens when it is produced faster than it can be metabolized, or removed. The primary benefits of training at the lactate threshold are twofold. One is due to the principle of SAID, the specific adaptation to imposed demand. By training at high speeds during practice sessions, you will better be able to run them during races. The East Africans understand this and make it a crucial part of their training. The other benefit is that the more that you train at the lactate threshold, the more efficient that you become at that level. In addition to being able to more efficiently metabolize lactate, your body can use the lactate as an alternative source of fuel. The extra gas in the tank will allow you to hit the wall later or not at all. An example of a lactate threshold, or new interval training, workout comes from Peter Thompson. In his New Interval Training, he offers workout options that can help develop greater race speed. One workout calls for you to run 12 x 400 meters at 5000K pace with a 100 meter roll on recovery. For example, someone who runs a 5K in 21:00, each 400-meter ‘sprint’ should be in 90seconds. The roll on 100 meter run would be in 20-25 seconds for a more seasoned runner and slightly less for a beginner. The roll on allows for the accumulated lactate to dissipate while still training at a high level. It is true that speed must be introduced properly and progressively, according to individual abilities, and goals. Such caution will lead to fewer overuse injuries and less biomechanical inefficiency. For more ways on how to implement speed work into your program and become a faster runner email me. Whether you are running a 5K or a marathon, speed work can help you reach your potential. Make your next race your fastest one! Bob Wells is a USA Track and Field certified running coach and can be reached at bob@bobwellsfitness.com. On Your Mark, Get Set, Lift? 1. Run my first 5k. 2. Raise money for charity. 3. Train for the race without actually running. Yes. Really. I’m serious. Keep reading! It’s the last one that raised eyebrows with my friends, clients, and other coaches. After the race, many people confided that they had secretly doubted my ability to finish. They imagined that I would be doubled over along the course somewhere, cramping, crying out for my mother. Instead, I finished strong, sprinting at the end to finish with a respectable 30:00. However, heading into the race, I had my own doubts and knew that I would face a few hurdles, including issues with distance, pacing, and breathing. Distance- As a former sprinter and running back, I had never run more than a mile in my life. And then, it was only twice. Ever. Yes, really. I didn’t even know what 5K felt like. Pacing- As I mentioned earlier, I am a former sprinter. I had no idea how to pace a race such as a 5K. 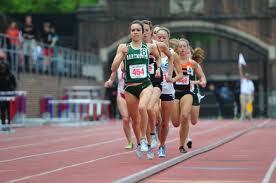 As a sprinter, you essentially run as hard as you can for the duration of the race. This need to pace was going to be a brave new world, and I was going to need help. Breathing- As a sprinter, I was always taught to breathe forcefully. Sprinting is primarily anaerobic, so any need to replenish limited oxygen supply is superfluous. When I started my training program, I calculated that I would need the aerobic capacity and the strength to be able to run for 30 minutes. Lower body strength (600lb squat, 505 deadlift) was definitely not an issue, but building up my cardiovascular capabilities was going to be a challenge. Especially doing the whole not running thing. The pacing was a little easier to manage. I simply asked a couple of my running clients to pace me. The biggest challenge was navigating the gridlock at the beginning of the race. Thanks again to Frank and Kathleen (on right, pre-race) for pacing me. I apologize for slowing you guys down. In hindsight, the breathing fiasco makes for some hilarity. Despite knowing proper breathing mechanics, I predictably reverted to my prior breathing habits. Also quite predictably, I was cramping 400 meters in. Quitting was not an option, and I was stubbornly prepared to run with a cramp for some 2.5 miles. Then I remembered what legendary running coach Dr. Joe Vigil said at the Running Summit two weeks ago about breathing. Dr. Vigil said that more often than not, you can breathe your way out of a cramp by focusing on your breaths. Inhalation should be deep, slow, and steady. Exhalation should also be slow and controlled. By doing so, you can moderate your heart rate, helping you to relax and calm down. According to NASM, deep rhythmic breathing can also replenish the limited oxygen supply, which is connected to anxiety and muscular tension. The technique worked for me, and my cramp soon disappeared. Now that I have this race under my belt, I am excited for the next one (October 7, Fit For All 5K) I am going to tweak my training to increase my speed (goal is sub 25:00) Still, I am going to keep the running out of it. WHY no running, you ask? Excellent question, and the answer is primarily contrariness. Traditional thought is that you have to run to be effective at running and to improve your times. To be a world class runner, perhaps this axiom holds true. However, most people can drastically improve their times by increasing strength and removing any biomechanical ineffiencies that might arise by implementing a well thought out training program. Such a program addresses the energy system and muscular needs of the sport / event to be performed. You can call me crazy for this training philosophy, but I believe in the science behind this theory. And in 2013, you’ll have to call me something else. A sub 18 minute 5K runner! Like many of the hundreds of thousands of people running road races this year, your nerves may be getting the best of you. Whether you are looking to win the race or simply trying to gauge your ability, there are a few things that you can do to ensure optimal performance. 1. Stay the course. As race day approaches, tinkering with your diet, shoes, or routine is the last thing that you want do do. Last minute changes can be stressful and can often lead to poor performances. Maintain the routine that you are accustomed to. It got you this far. 2. Review the course. (For the Komen NYC Race for the Cure Map, click here.) Even if you don't expect to be among the leaders, having a clear mental picture of the course can help you break it down into smaller and less intimidating stages. That includes knowing where the mile markers or the midway point. 3. Run your race. Don't fall prey to the speedsters who go out in a blaze of glory. If you go out too fast, you might find yourself struggling to finish. Joe Vigil said that sometimes he would have his teams push an incredibly fast pace to start a race. This would put pressure on their opponents to run a faster pace than they wanted at the beginning and take away their finishing power. Conserve your energy and finish strong. 4. Have fun and enjoy the race. Your training is complete, and the race is the celebration of that training. Take the time to meet other participants and have fun. 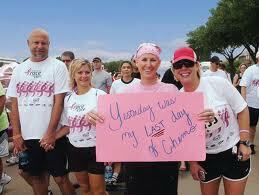 For those running in Sunday's Komen NYC Race for the Cure, good luck! If you would like to make a donation, you can do so by clicking here.